Inulin is found naturally in certain foods. Its chemical structure makes it indigestible in the small intestine, so it remains intact through most of your digestive system. That’s why it is thought of as a dietary fiber—and like other dietary fibers, it provides virtually no calories. But unlike most dietary fibers, inulin also acts as a prebiotic. Prebiotics feed the healthful bacteria that already colonize your gut. 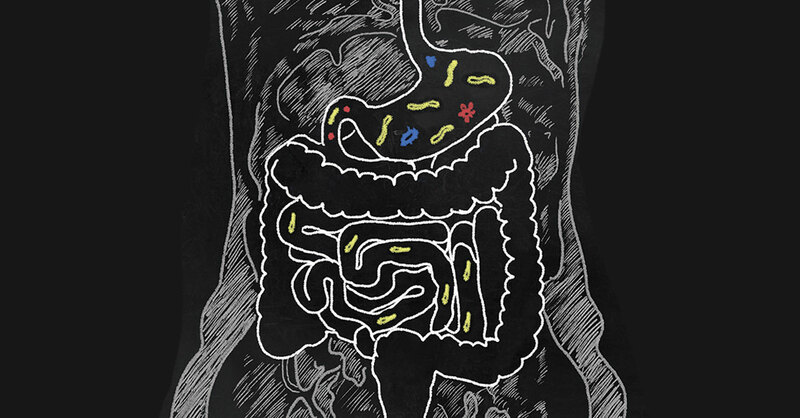 New research has linked prebiotics and healthful gut bacteria to better digestion, improved immunity, weight management and reduced risk for diabetes and other diseases. Inulin is naturally found in various plants, including root vegetables such as chicory root, jicama and Jerusalem artichokes (a completely different vegetable from typical artichokes, Jerusalem artichokes—or “sunchokes”—are underground tubers from a species of the sunflower plant). The bulbs of certain plants, such as garlic, onions and leeks, and the stalks of asparagus also contain inulin. Inulin is added to many processed foods, especially those labeled high fiber, such as snack bars, breads and cereals. It is found in some processed gluten-free foods because inulin mimics the properties of gluten. Inulin also is added to foods for its sweet taste and creamy texture (without extra calories). This rare combination makes it a popular ingredient in ice cream, yogurt, cheese products and low-sugar/low-calorie/low-fat versions of these foods. Inulin dietary supplements are available in pill and powdered form and may be labeled as prebiotics, chicory root powder or ­fiber powder. Digestive health: Inulin has the potential to establish bowel regularity and decrease constipation. One study found that inulin improved the frequency and consistency of bowel movements in study subjects. Another study showed inulin’s ability to significantly reduce constipation in older adults. Like other fiber, it regulates the movement of food through your digestive system and helps remove food wastes. As a prebiotic, it feeds friendly gut bacteria such as ­Bifidobacterium, which improves immune function and reduces the growth of certain disease-causing microbes. Weight loss: Research shows that consuming inulin decreases caloric intake and reduces weight gain in people who are overweight. That’s because the fiber makes people feel more full on less food, so they eat fewer calories at meals and snack time. It also has been shown to decrease food cravings and suppress the release of ghrelin, the “hunger hormone,” in adults. Diabetes and cholesterol: Inulin can reduce the risk for diabetes in people with prediabetes and help control blood sugar levels in people who have diabetes. In one study, women with type 2 diabetes who received 10 grams of inulin per day had reduced fasting blood sugar and hemoglobin A1C levels (a measure of long-term blood sugar control) and lower total cholesterol, LDL cholesterol and triglycerides compared with women who did not receive inulin. Asthma: A study published this year found a link between inulin and asthma. Adults with asthma who consumed a onetime meal with inulin fiber had significantly improved lung function and decreased airway inflammation for four hours after the meal compared with adults who consumed a meal of simple carbohydrates. Nutrient absorption: Inulin can boost the absorption of nutrients in the body. Calcium, in particular, is better absorbed in the presence of inulin. This effect has been demonstrated in postmenopausal women, young adolescents and young men. Improved calcium absorption promotes bone strength and reduces the risk for osteoporosis. Inulin also has been shown to significantly improve the absorption of magnesium, zinc and copper. Given its benefits, inulin may sound like a calorie-free miracle food. Not so fast. Inulin has its risks, particularly when eaten in large or inconsistent amounts. We know that inulin feeds the friendly bacteria in your gut, but it also can feed certain bad bacterial strains, such as Klebsiella and Candida (yeast). Klebsiella is a factor in Ankylosing spondylitis, a type of arthritis in the spine, and “leaky gut” syndrome, in which the lining of the small intestine is damaged. People with these conditions or with an active yeast infection should avoid taking inulin in large amounts. Inulin is not recommended for individuals following a low-FODMAP diet. FODMAP is an acronym (Fermentable Oligosaccharides, Disaccharides, Monosaccharides and Polyols) that refers to a group of carbohydrates that may cause digestive distress for people with irritable bowel syndrome. Inulin is an oligosaccharide, one of the carbohydrates that is eliminated in this therapeutic diet. Like many high-fiber ingredients, inulin can cause digestive problems such as gas, bloating or diarrhea. Many people are surprised to learn that the microscopic bacteria in our digestive tracts are the cause of most gas. When gut bacteria are fed carbohydrate-rich foods and fiber, they produce gas, which leads to excess gas in the large intestine. Thankfully, it is possible to minimize these undesirable effects by slowly increasing your intake of fiber. If you would like to reap the health benefits of inulin, start by gradually increasing the amount of inulin-­containing foods in your diet. Ten grams per day of supplemental inulin is well-tolerated by most healthy adults. It can be difficult to determine the exact amount of inulin in food products, so instead focus on total dietary fiber with a goal of 25 grams per day. Keep a food journal, and log your daily meals or work with a registered dietitian to determine your current intake of fiber. Then slowly increase your daily fiber intake by two to three grams every week until you reach your goal. Fiber absorbs water, so your fluid needs also may increase on a high-fiber diet. Be sure to stay hydrated by drinking extra fluids as you increase your fiber intake. I recommend a “food first” approach over supplementation. Foods provide satiety and many other nutritional ­advantages that pills do not. Focus on the natural sources of inulin from food. Foods that are fortified with inulin vary greatly in terms of nutritional value, from high (100% whole-wheat bread) to low (ice cream).